Felix Lesiuk captured this great image of Charlie Brown and Snoopy graffitied onto a grain hopper. 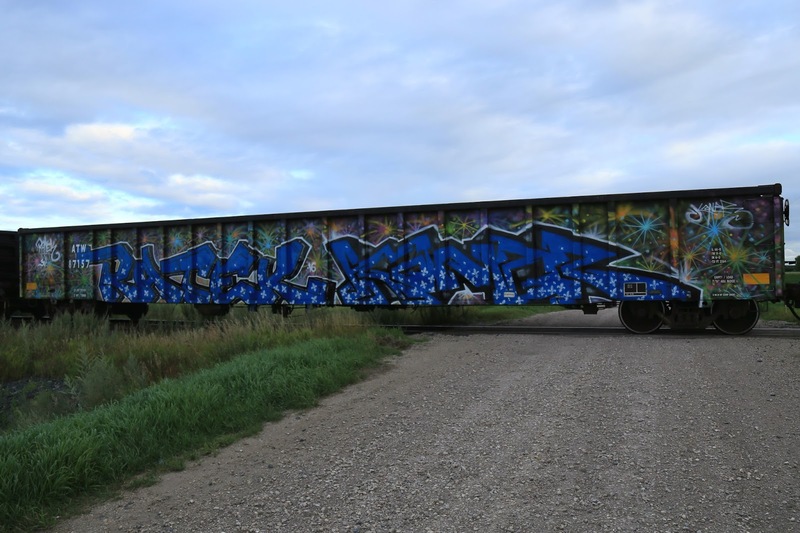 Long time WMRC member Felix Lesiuk sends us many photos taken during his rail fanning trips with his good friend and fellow WMRC member Louis Lenz. 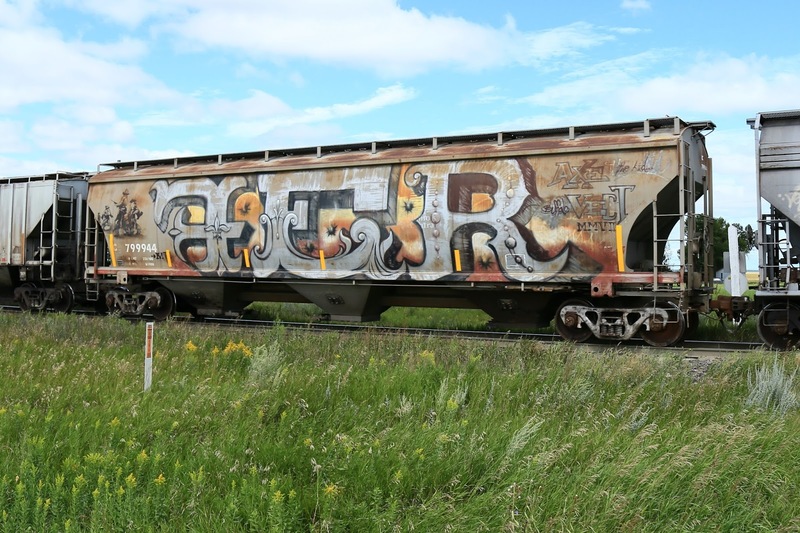 This post features the wild world of railroad graffiti images that he has taken. There doesn't seem to be any limit to the imagination (or to the spray paint supply) of these roving bands of artists who haunt the rail yards of North America. 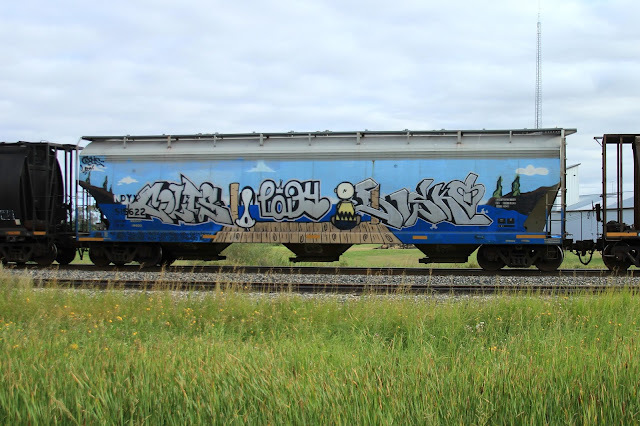 Enjoy their creativity! 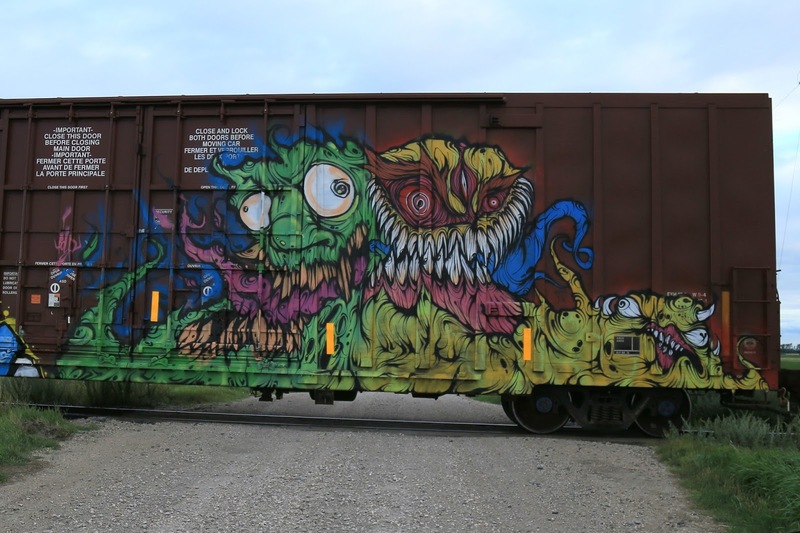 How many spray cans do you think someone used to create these beasties? Nice font! Someone really knows their calligraphy! A star burst design really brightens up this ordinary gondola!